In the early 1990 with the influence of my friends and my brother, I pick up a Hong Kong action comic, Feng Yun (风云) aka The Storm Riders. 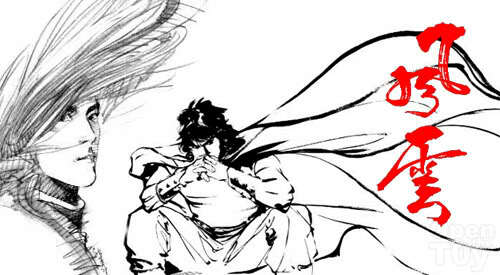 I was captivated by the drawing styles and the original characters and stories lines of this two heroes, Nie Feng (聂风) aka Wind and Bu Jin Yun (步惊云) aka Cloud. One of the original factors the weapons and they play an important part of the stories. So when the news of the second movie is about the preview, I kept an eye out at the weapon and they change some of the details in their weapons for the movie. I was quite disappointed with the new weapons design. Here is a comparison of three main weapons between the comic and the latest movie version. See the detail differences? Meanwhile I will look out for the movie. Hope it wont disappoint me. Nice swords for the 12". I'm counting down for the 2nd movie as well. 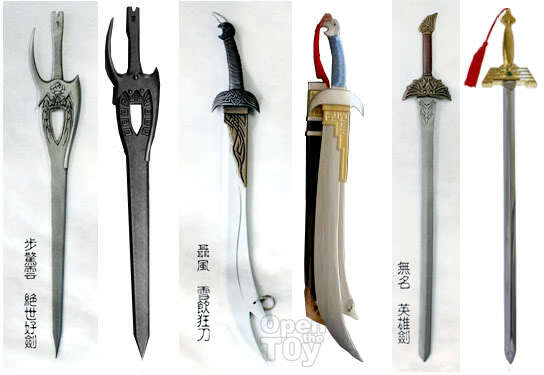 I skip the 12inch sword collection released by Enterbay. I hope it will better than part 1.
but you buying the 12 inches figure? 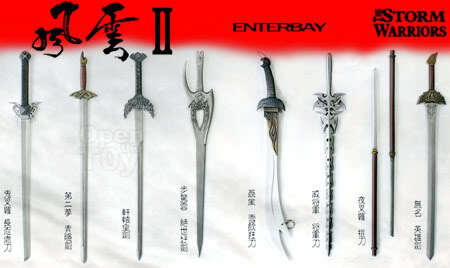 Haven't decide whether want to get the Enterbay Storm warriors series.